According toMoneyfacts.co.uk, Credit card rates hit 13-year high. The financial advice website reports that the rates for borrowing on plastic peaked at 21.1% in February 1998, after which increased competition resulted in falls to an eventual low of 13.8%, in February 2006. The economic downturn has seen providers steadily increase their credit card rates, with the average rate for new customers now hitting 18.9%. Further reports says that continued unstable economic conditions have left lenders worried about the potential for defaults. Use Paypal on sending money through other paypal user using your credit card. Just make sure that the site where you use your credit card is safe. Whenever you use your credit card online, investigate and check for other reviews about the site. This information is helpful in finding the real credit card number vs the fraud credit card number, the table below shows the prefix number of the top credit card in any bank. Even if it is an offline credit card or bank debit card. This number system is applicable all over the world. This is also applicable either in Personal Credit Card or even corporate credit card. Black Friday 2011 Deals will soon be here, actually it will be on November 25,2011. It is the season where lots of people in USA go to different store to get discounted rates of different things. From electronic Gadget to clothing’s and food. But this is also the season where lots of Credit Card Fraud is being seen. So be sure to take good care of your credit card and never let any other user hack or still your account details. If possible go with the waiter when paying your bill in the restaurant. If possible always see to it that the one swiping the card is not logging your credit card details. Make sure to do transaction in a secure online site. Look for the lock below your browser. Never do online payment transaction in public computer such as airport and the same. Hope above mentioned tips could help you in preventing hackers to use your account during Black Friday 2011 Season Sale. I just received my payoneer card, and it is good to know that it could be loaded by credit card. So How will I probably use this card? I am actually planning to use this as one of my tools in making money online. We normally accept payment through PayPal, but due to the bad experience I had with PayPal, I am now afraid to do business transaction using paypal. It might lead to chargeback. So How to use Credit Card in Loading Payoneer Account ? My buyer just have to proceed to this link : https://load.payoneer.com/LoadToPage.aspx and I should give the details of my account so that it could be used as payment method. Normally it is jut an e-mail address. Then I can accept the payment through the links that will be sent to me after payment. But I would suggest verifying the credit card account before to proceed. Unauthorized used of credit card occurs whenever somebody uses the credit card to purchase from anywhere without authorization from the owner. It occurs when somebody stole the details of credit card through online or offline use of credit card. Credit Card users should protect their card and never give or encode the information online if the site is not in https mode ( secured site ). Most of the time, hackers could penetrate to the site which are not https, and they are harvesting the information of the credit card card. Don’t ever ever give you card to a restaurant that you don’t trust. They could copy the number at the back of your card. If they do, they can easily use your card in online transaction. In addition to our post before about the proper use of credit card , credit card user should always make sure that they can see what the merchant is doing in the card. 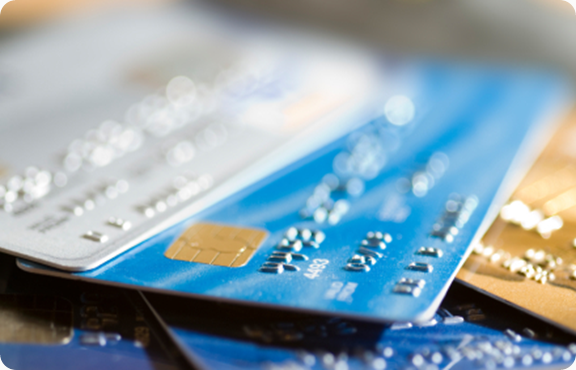 Although you can always dispute a transaction, it is still not good to go into hard process of issuing a chargeback to the credit card company. I have been using my credit card for more than 10 years now, Credit card is good if you know how to use it properly but it is a nightmare for those who will just use it for pleasure . Credit card gives you the facility to have a credit without any interest if you will pay it on time. But for sure it will give you big head ache if you let you due date pass. High interest rate awaits those credit card user who are not paying on time. Credit Card Officers will always call you if you have not paid on time. Additional interest will be given if you have only paid the minimum amount due. Additional interest will be given if you forget to pay on the specified date. As a long time credit card user. I have learn to pay on time and take the advantage on having a capital without interest in some of my online and offline ventures. So use your Credit Card wisely. Pay on time. That is how to properly use your Credit Card. 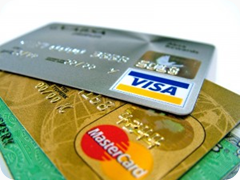 If you are looking for ways to get a new credit card , the following information is for you. 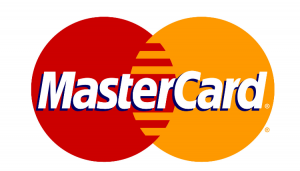 This are the names of the Philippine Banks that is giving MasterCard International. You can check the credit Card Fees fro the following bank thru their contact details or Website. we will update this post soon in order to give more information about the banks mentioned below.